Still haven’t dipped your toe into business-to-business social media marketing waters? 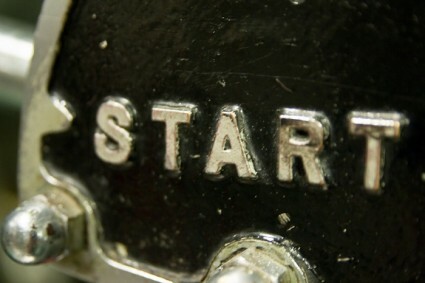 Here is the easiest and most foolproof way to get started. Market on LinkedIn. 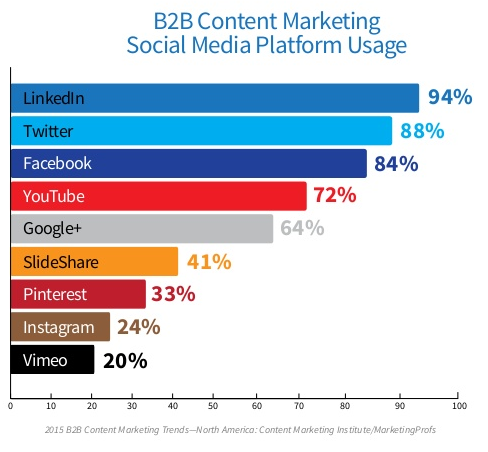 LinkedIn is the number one most-used social media platform for business to business marketing. For those of you who don’t want to spend much time and effort in social media, investing a little in LinkedIn should be a no-brainer. “Everyone” is on LinkedIn, and you can get good results with a minimum of effort. How do you create brand awareness on LinkedIn? Chances are you and your team have profiles on LinkedIn already. In just a few steps, you can create a presence for your company brand on LinkedIn and begin to create awareness and engage with prospects. As an individual on LinkedIn, you can write blog posts, post status updates, share others’ content, message your connections and endorse them. There is also an opportunity to create a presence for your company brand on LinkedIn, and that’s done by setting up a Company Page with your logo, photos, news and articles or blog posts. People are free to follow any Company Page they want. A Company page displays your brand within your profile and allows others to follow you. I think in terms of having business credibility, the LinkedIn Company page is becoming a necessity. Note: if you are a sole proprietor, you may not want to create a LinkedIn Company page, since you will now have to write updates for your personal profile as well as your Company page. It’s something to consider – the extra work is not for everyone. Provide links to your and others’ content about your products, services and industry. Post news about your employees. Add value for the people that follow you or your company. Create new discussions by asking people questions about industry news, trends, how-to’s and more. Answer others’ discussion questions in a helpful (and non-sales way). Send messages on LinkedIn judiciously. Don’t spam by sending sales solicitations. Everyone gets enough spam in their email inbox. Send important updates via the LinkedIn messaging feature such as an annual update, new product or service announcement. Don’t use group discussions to post links to your site or blog or sell your events. Ask meaningful questions, provide helpful answers for FREE, and post links to other people’s good content. You’re safe testing the B2B social media waters on LinkedIn. It’s up to you as to how much time you put into it, but, in my experience, the results I and my clients have gotten definitely justify your effort. For setup, training, and ongoing updates on LinkedIn, contact New Incite today. We’ve set up and optimized many profiles and provided social media messaging to make our clients a success on LinkedIn. Photo by Steven Depolo on Flickr. Some Rights Reserved.